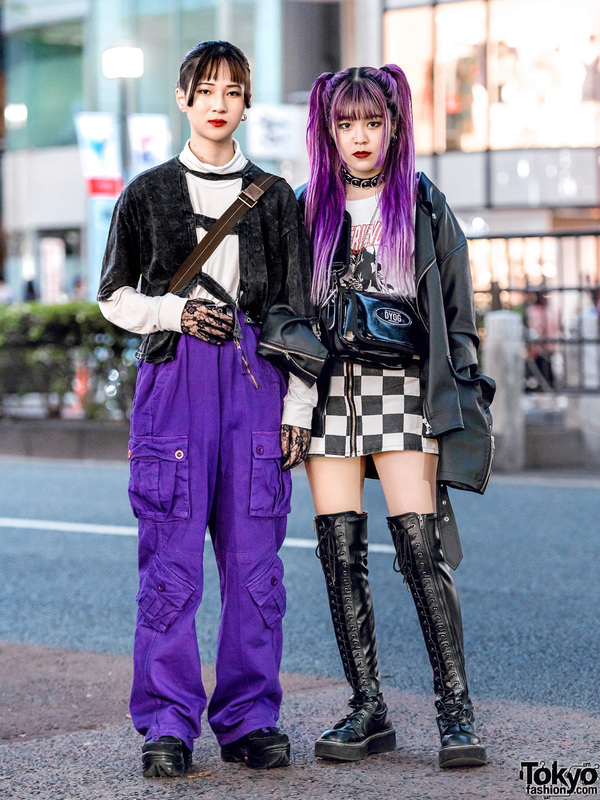 Harajuku girl sporting a purple bob and an all black ensemble with motorcycle jacket, ribbed sweater, strap pants and platform shoes. 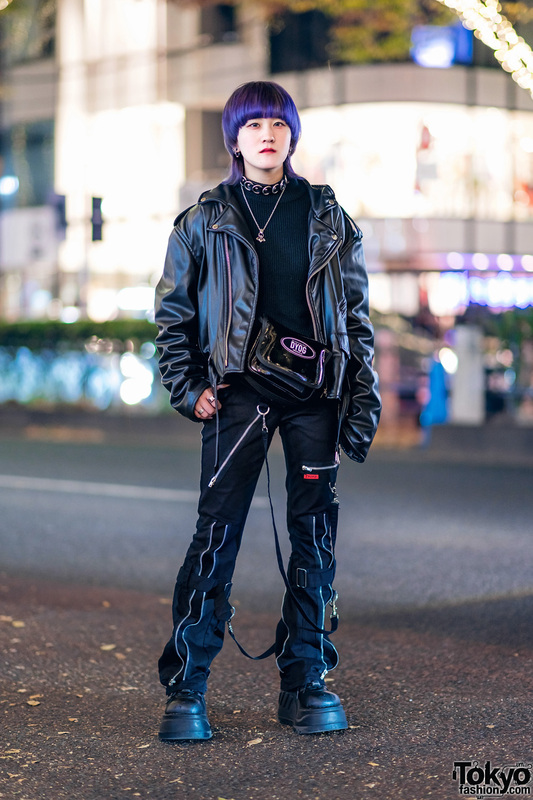 Japanese student wearing a trendy Tokyo street style in Harajuku. 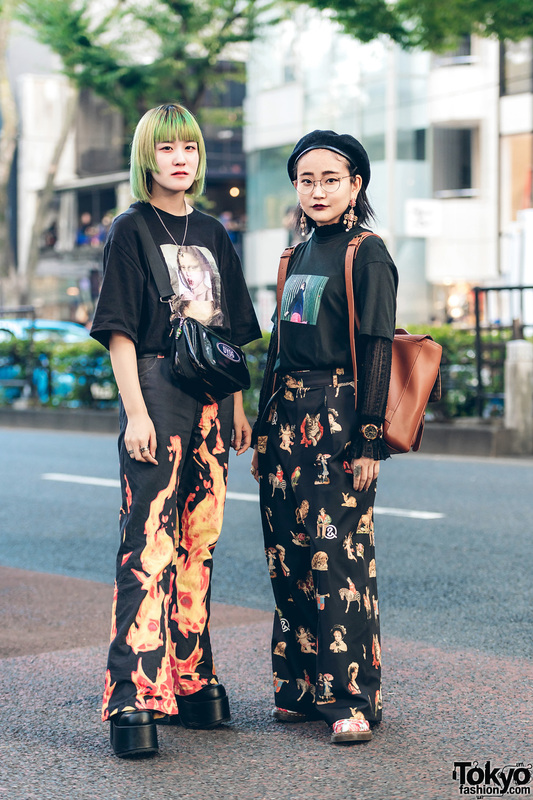 Harajuku girls sporting impressive streetwear styles with all black outfit and a blue jumpsuit while out and about on the street.